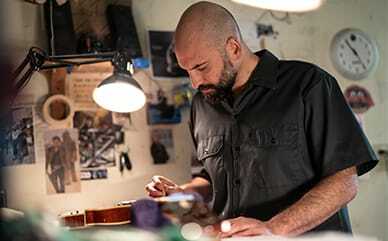 If the amount of your Online Gift Card(s) is for MORE than the total order amount, the balance will be stored with your Dickies.com account for your next purchase using the same Online Gift Card code. Online Gift Cards are non-transferable, non-refundable and are not redeemable for cash (except where required by state law). We cannot replace lost or stolen Online Gift Cards. We do not charge sales tax when you buy an Online Gift Card because it is charged when the Gift Card is used. State tax may be added to all orders shipped to addresses in the states indicated here. Online Gift Cards can be ordered in any amount between $5.00 and $250.00. They are sent via e-mail to any individual with a valid e-mail address. 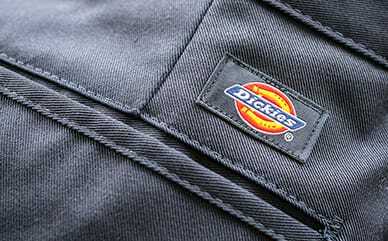 The recipient of an Online Gift Card will receive an e-mail with a Gift Card Code redeemable only at dickies.com. The code is activated within 24 hours after receiving the e-mail. Gift cards may not be redeemed in conjunction with PayPal when completing purchases over the amount of the gift cards. Gift cards may not be purchased with products in the same transaction. Gift cards may not be redeemed in conjunction with Apple Pay when completing purchases over the amount of the gift cards.